Gardeners tackling landscaping or gardening projects often use topsoil in a planting project. Use topsoil to improve your soil quality and drainage when your existing soil is inferior or devoid of nutrients. As you plan to add topsoil to a growing area, keep in mind that natural topsoil generally is the top 3 to 10 inches of soil. Depending upon how much topsoil you need, your purchase options are either bulk topsoil or bagged topsoil. 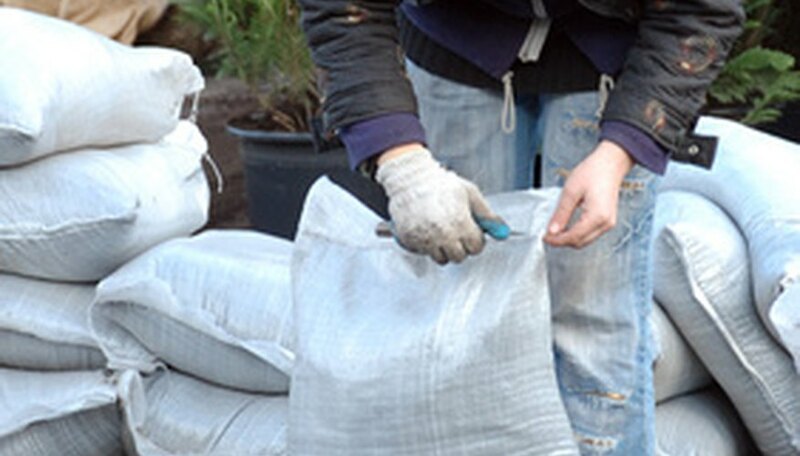 Buy bagged topsoil to complete gardening projects on a smaller scale. Measure the space to which you will be adding topsoil: Measure the length of the area and the width of the area and write these dimensions down on the paper. Determine the depth of topsoil you wish to add to the space in inches and write this dimension down on the paper also. Multiply the length and the width dimensions and write the answer down. For example, if the length measurement is 10 feet and the width measurement is 7 feet, multiply 10 by 7. Your square footage is 70 cubic feet. Divide 70 by 12 to equal 5.8 cubic feet--this is the number of cubic feet of topsoil it will take to add 1 inch of topsoil. If you want to add 4 inches of topsoil, multiply 5.8 by 4. You'd need 23.2 cubic feet of topsoil to fill 70 square feet with four inches of topsoil. Purchase the appropriate number of 40-pound bags of topsoil to complete your landscape project. Because one 40-pound bag of topsoil will cover approximately 1 cubic foot of space, using the same example as in Step 2, you will need to purchase 23 or 24 40-pound bags of topsoil to lay down a 4-inch layer of topsoil over your 70-square-foot landscape space. Purchase topsoil from a reputable seller or garden center to ensure you receive quality topsoil. Quality topsoil will contain at least 3 percent organic materials and will have a texture that enables proper drainage.